c) Start a glossary in Google sheets or similar and define the following concepts: lysosome, cytoskeleton and mitochondria. 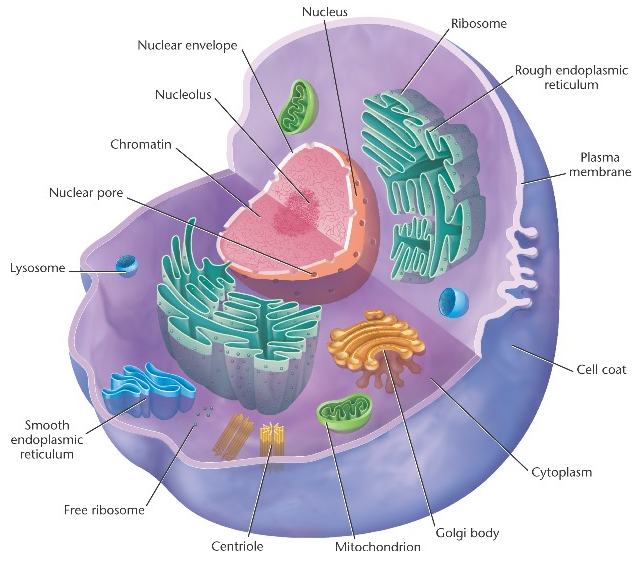 Work your way through the following Prezi to revise cellular structure. 1. Mr Collins has got some new aftershave. Danny can smell it as soon as Mr Collins comes into the lab. Ramesh does not smell it until two minutes later. a Who is sitting nearest to the lab door? 2. Diffusion happens faster in gases than in liquids. Why does this happen? 3. 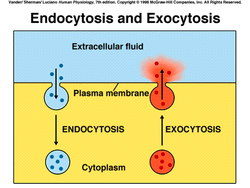 Why is it important that a cell membrane does not allow all dissolved substances to diffuse freely through it? 4. The concentration of the tissue fluid, which bathes all cells in the body, is kept more or less constant. Why is this important? 5. 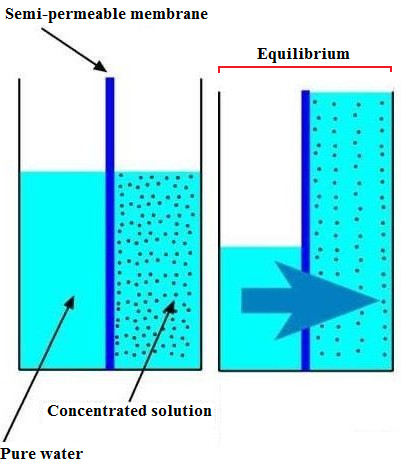 Draw a diagram that shows a vessel which contains a concentrated and a dilute solution, at the same level, separated by a partially permeable membrane. Draw a similar diagram to show the liquid levels after an hour or two. 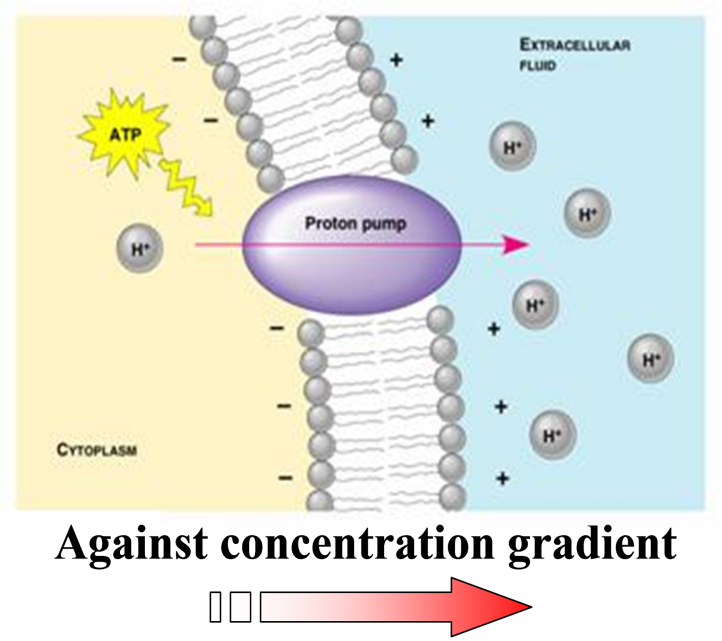 (a) A concentrated solution has a high osmotic potential (water potential). 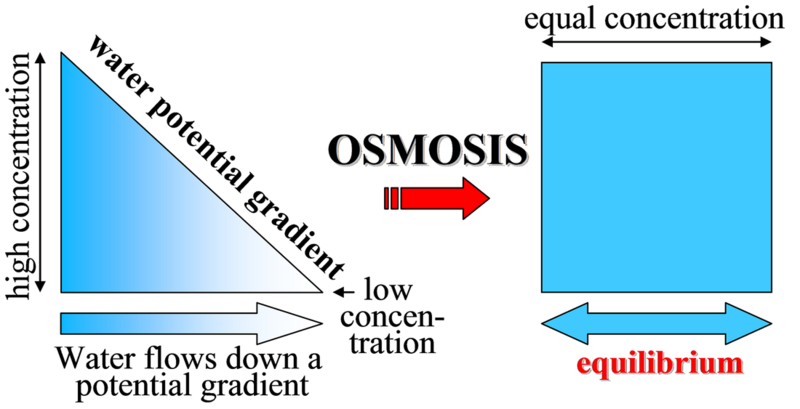 (b) A concentrated solution has a low osmotic potential (water potential). 7. When meat is salted, bacteria cannot grow on it. Suggest a reason for this. Work through the following Prezi to revise the content from this chapter.